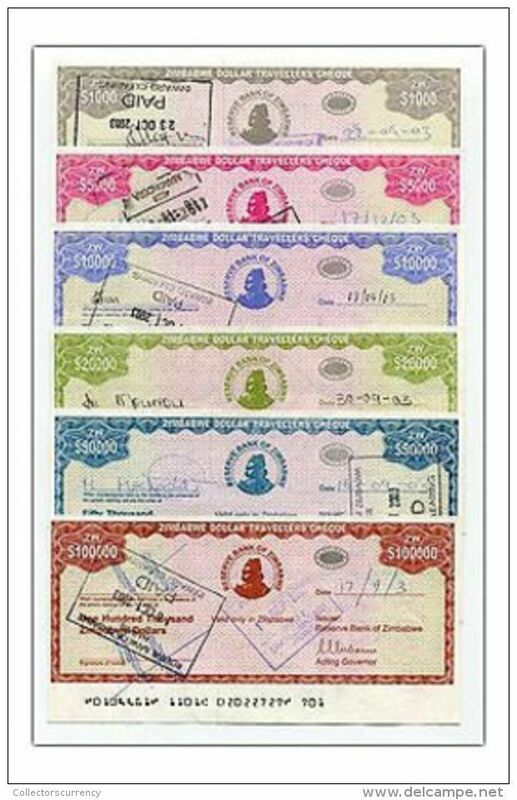 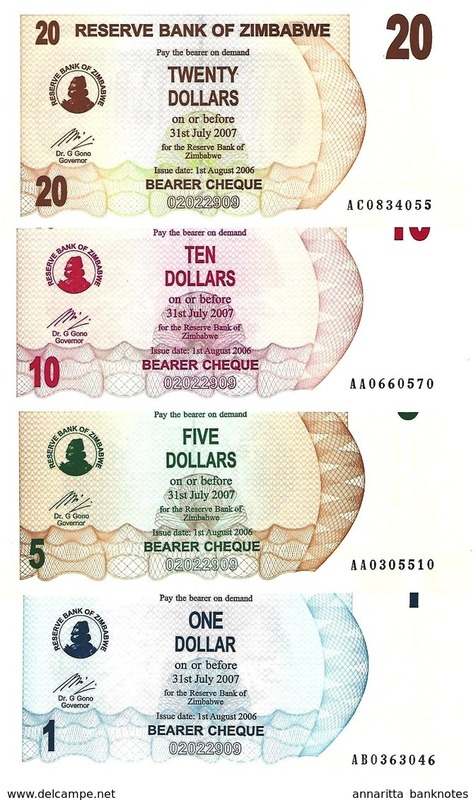 ZIMBABWE 2003 COMPLETE 6 TRAVELERS CHEQUE SET RARE - FREE SHIPPING ! 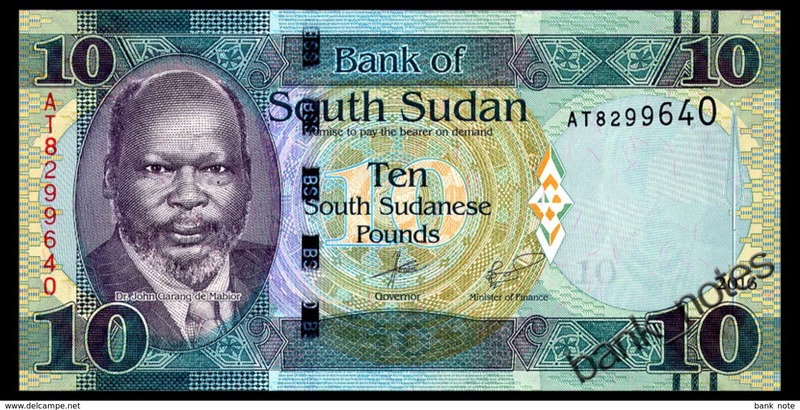 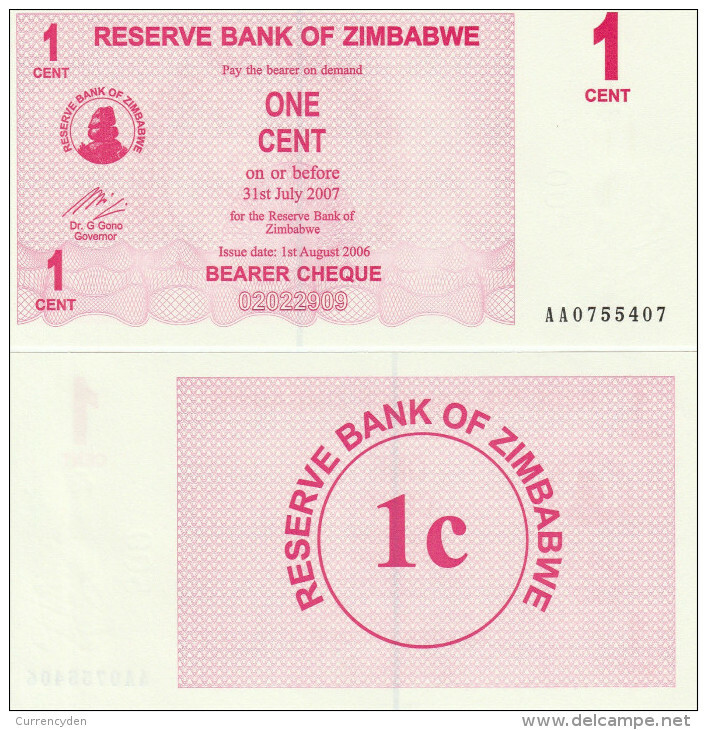 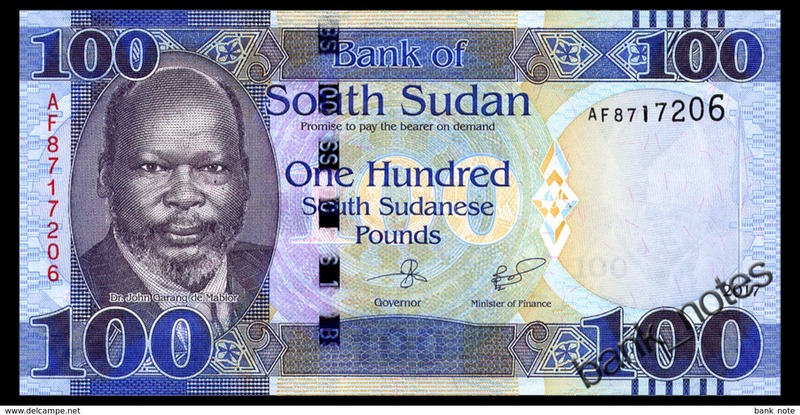 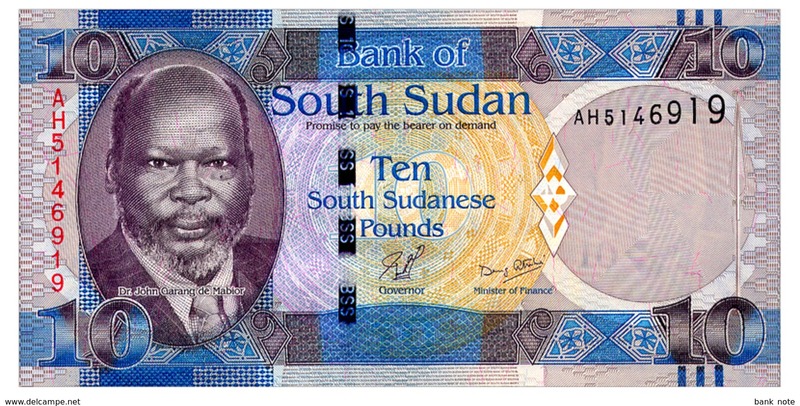 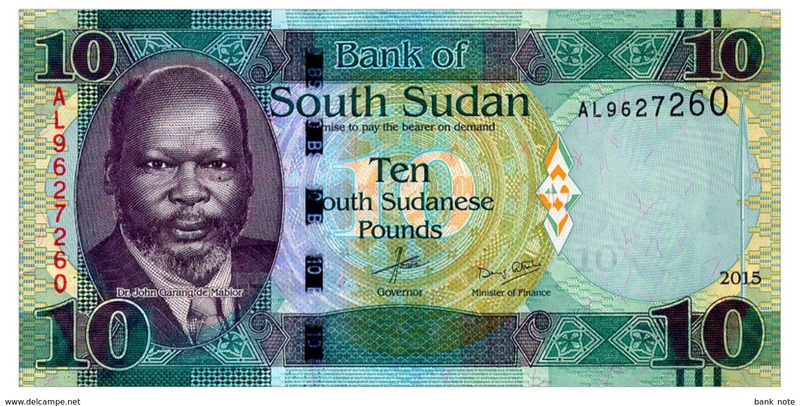 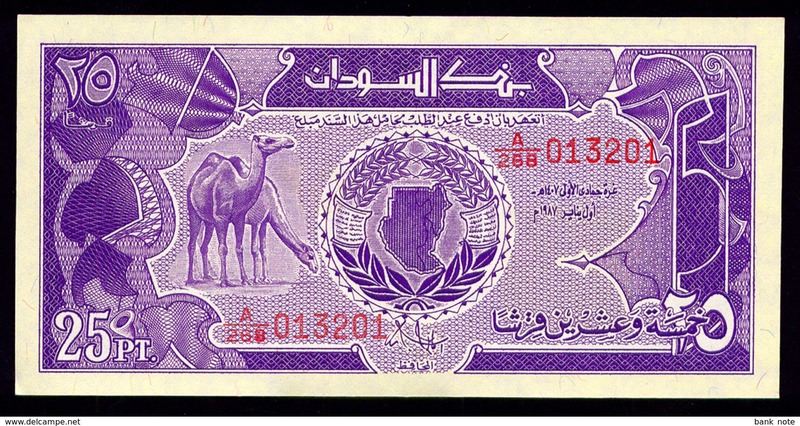 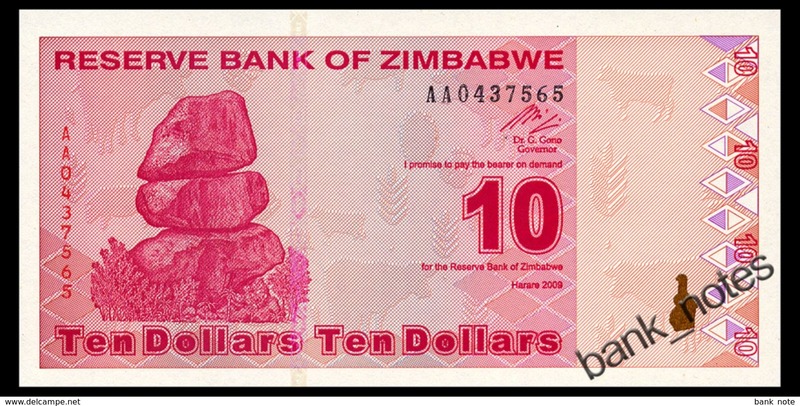 Zimbabwe 10 dollars 1994 , AUNC. 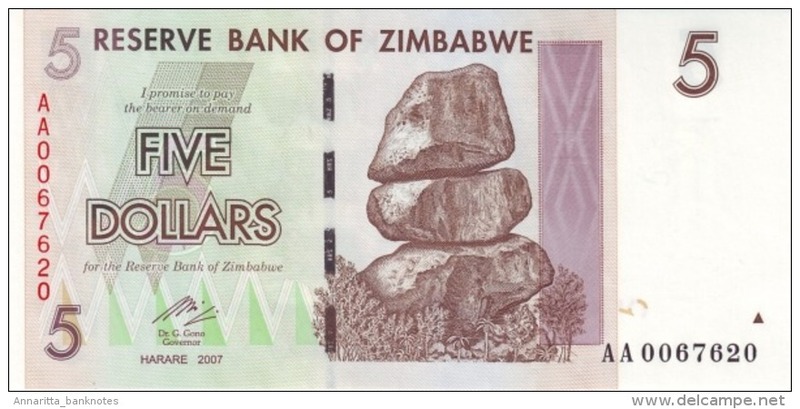 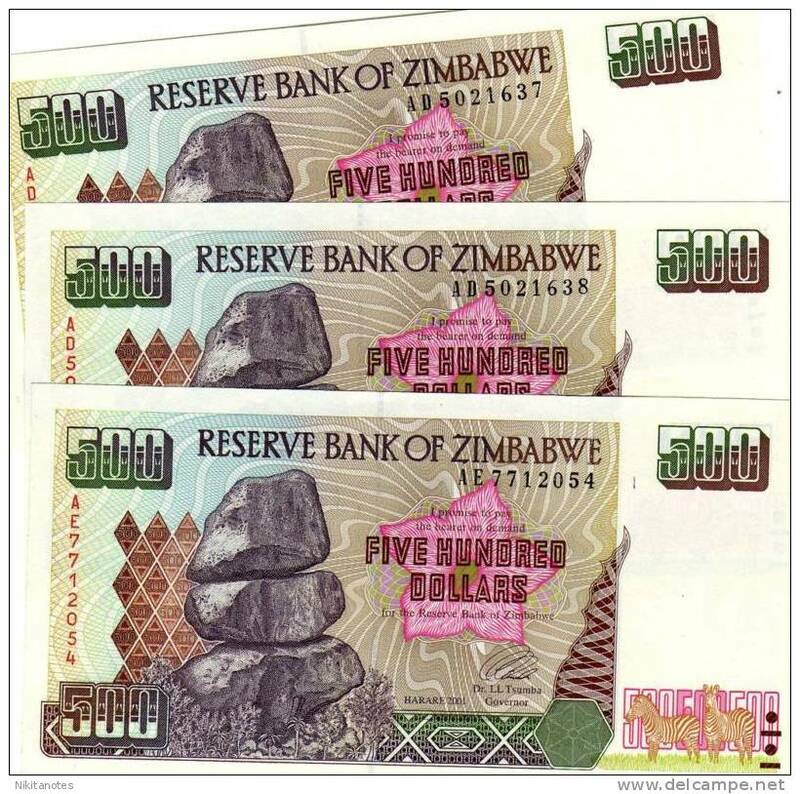 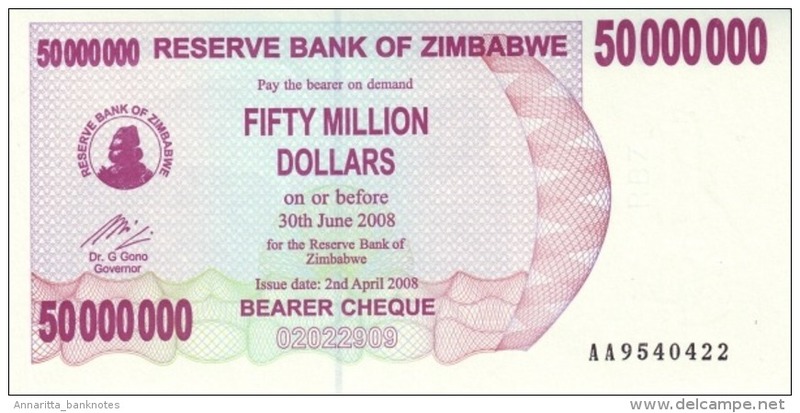 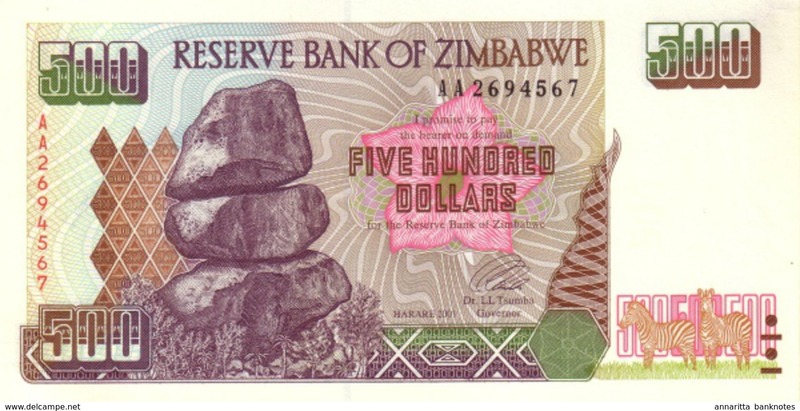 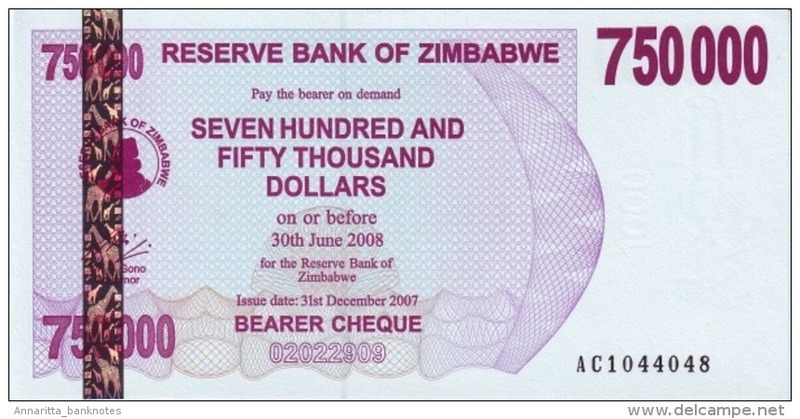 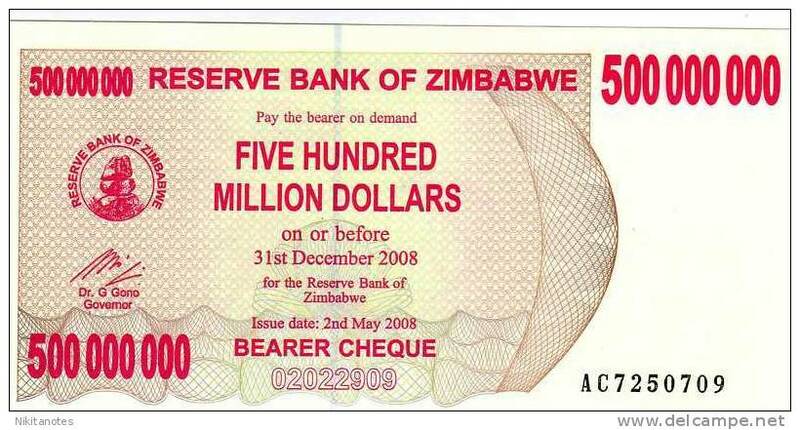 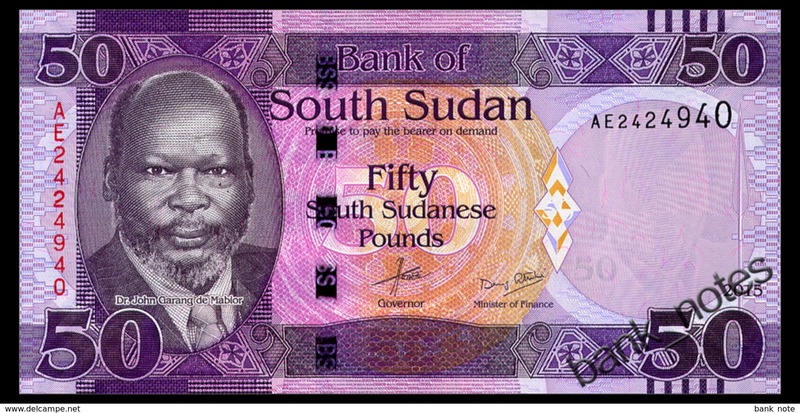 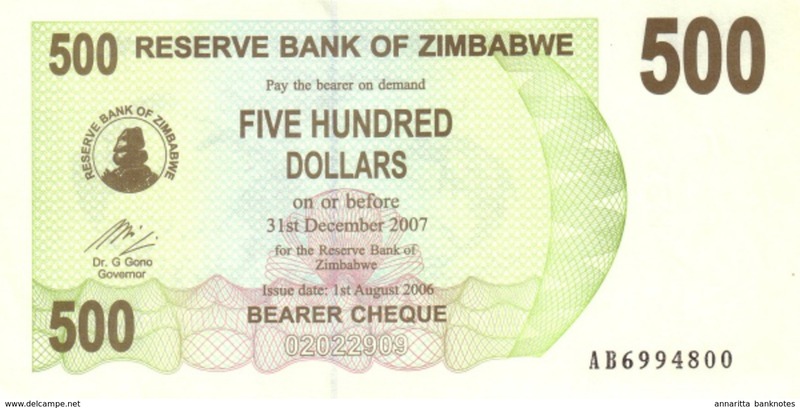 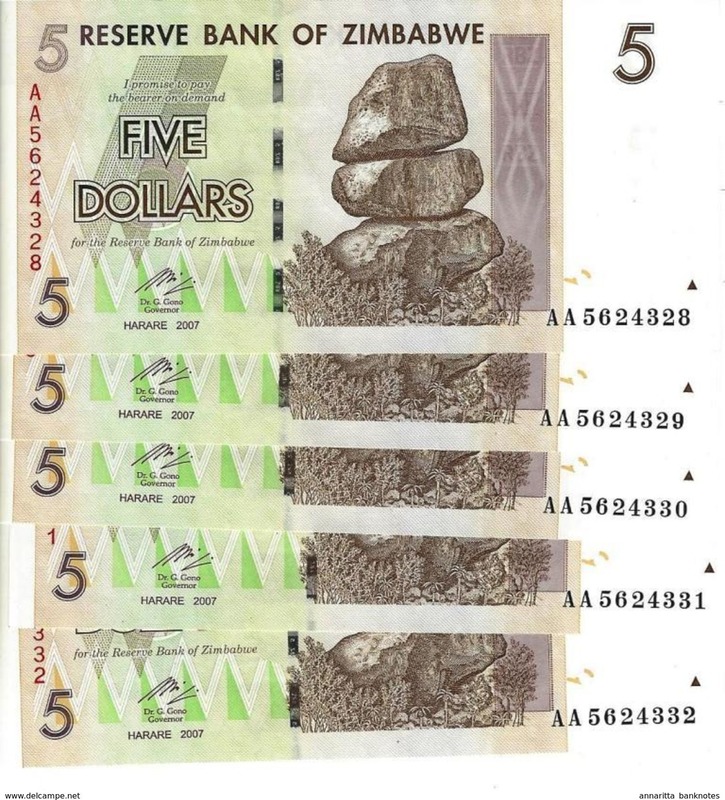 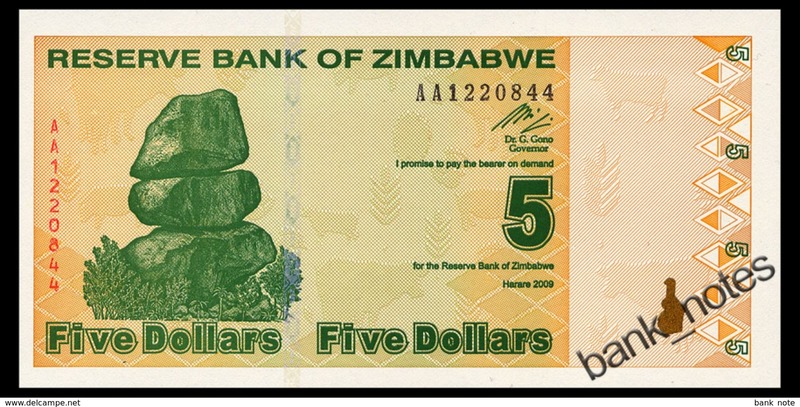 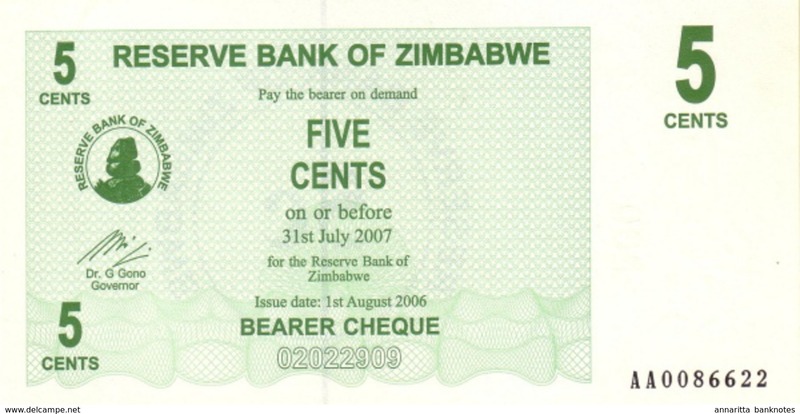 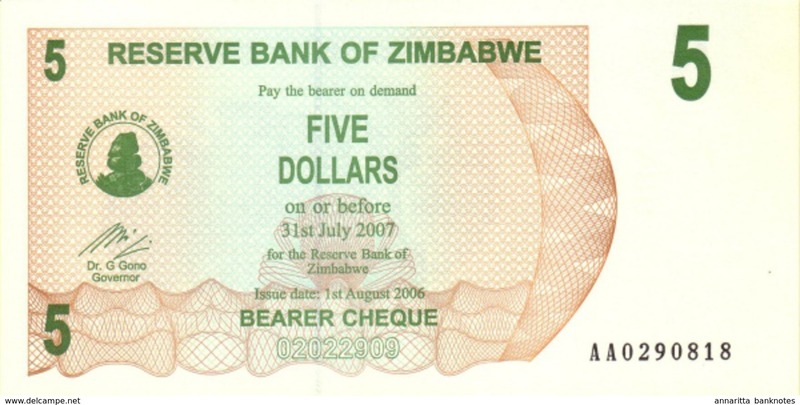 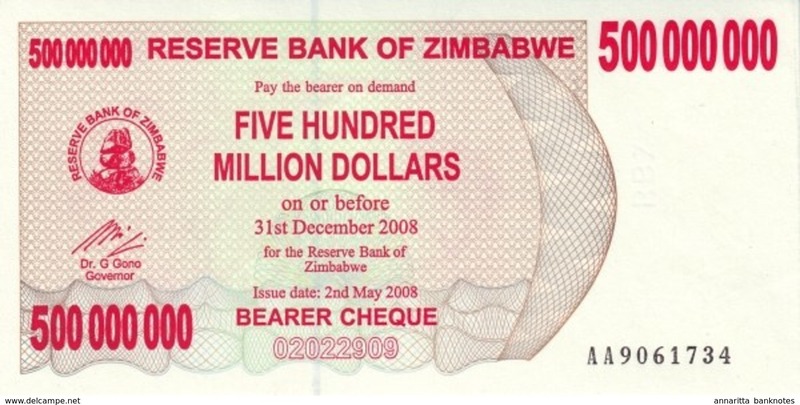 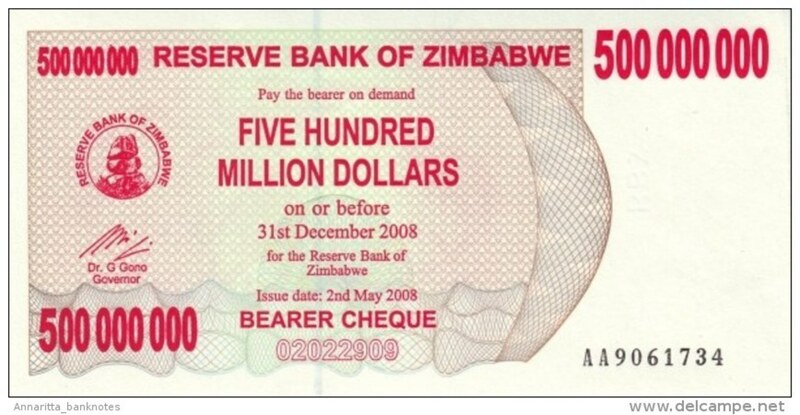 Zimbabwe, 5 Dollars, 2009, UNC., P.93. 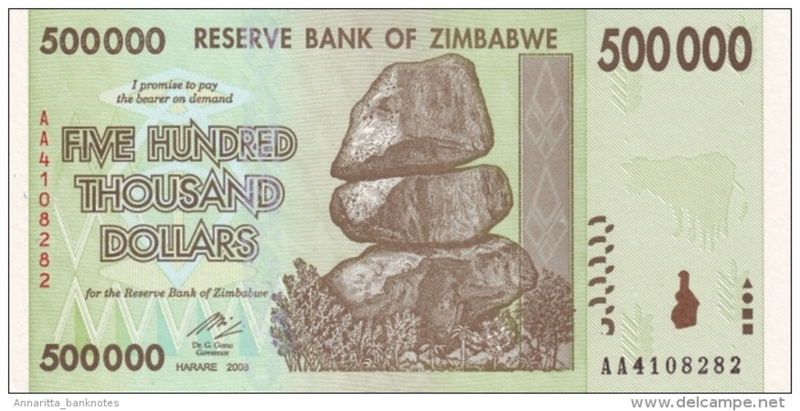 Fish, Kariba dam. 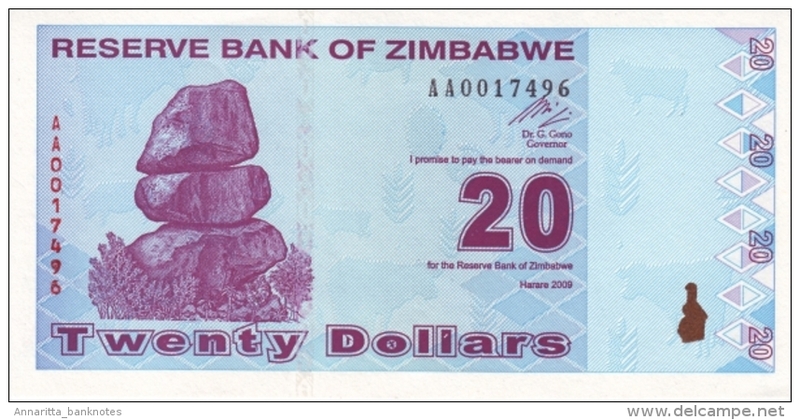 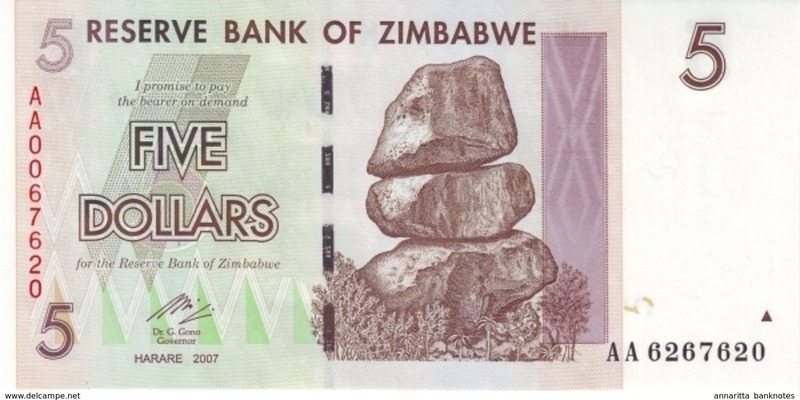 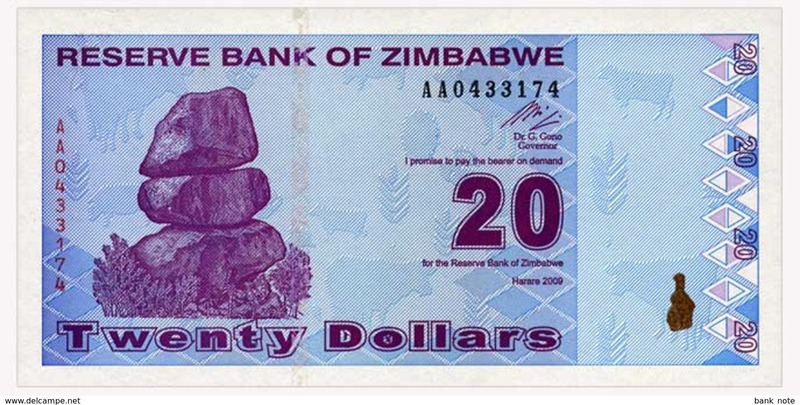 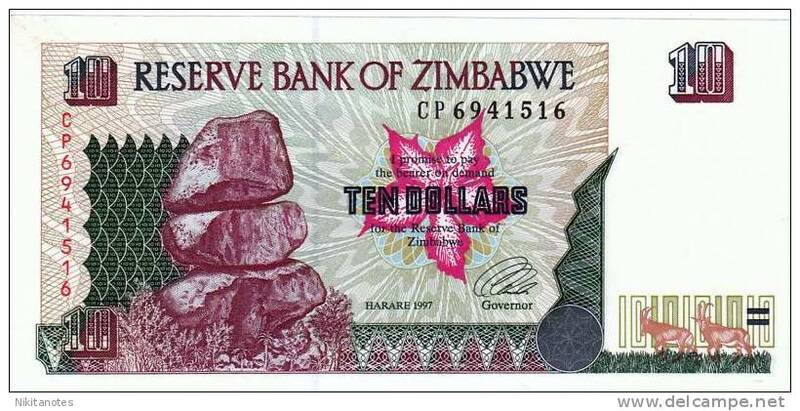 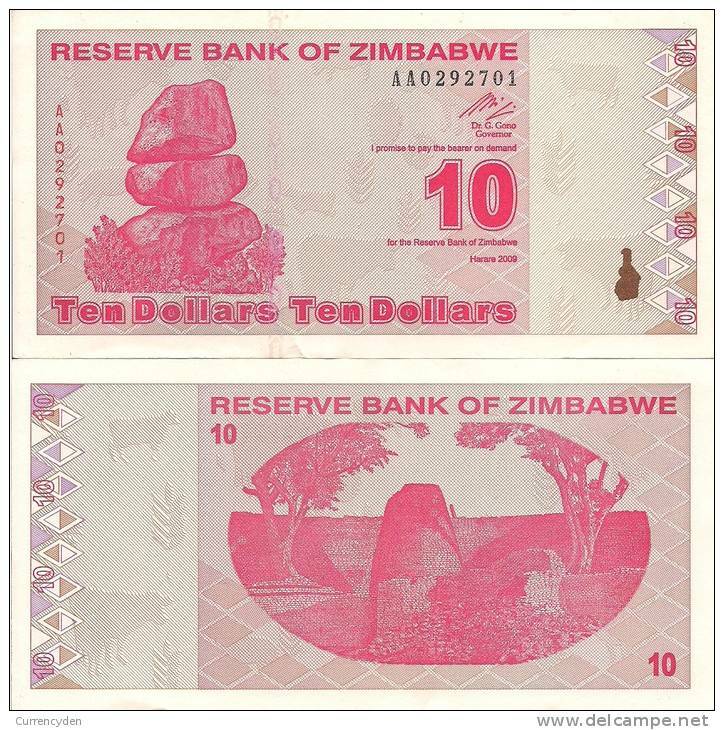 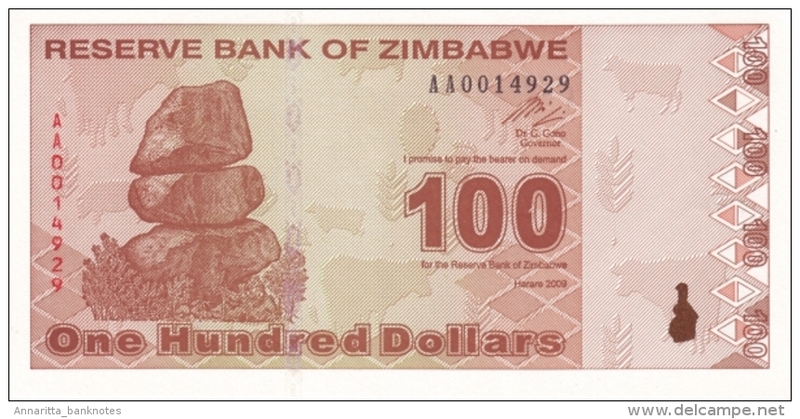 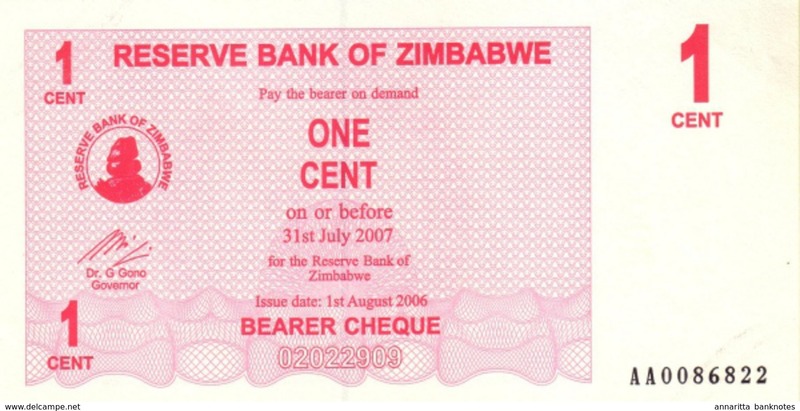 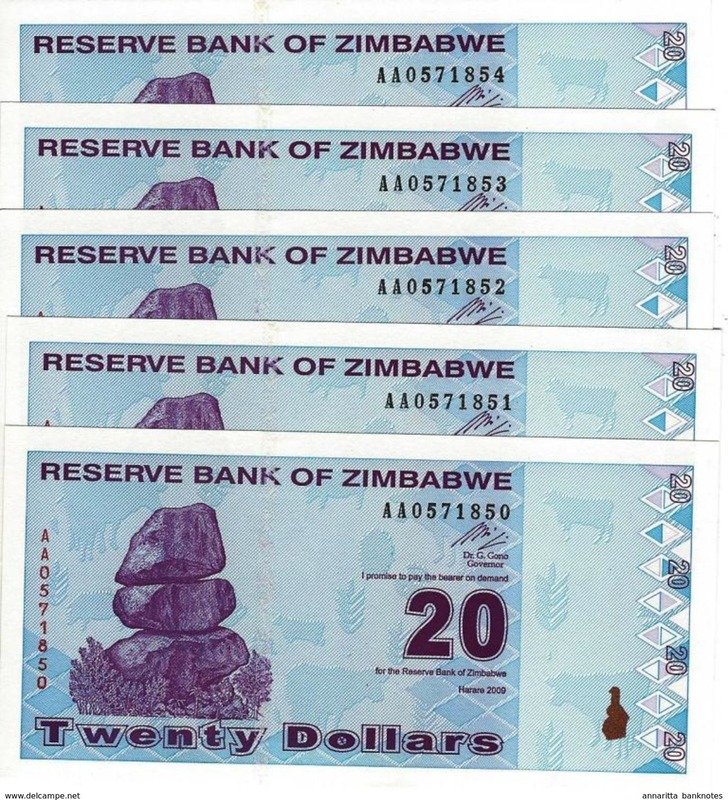 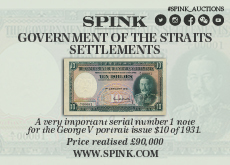 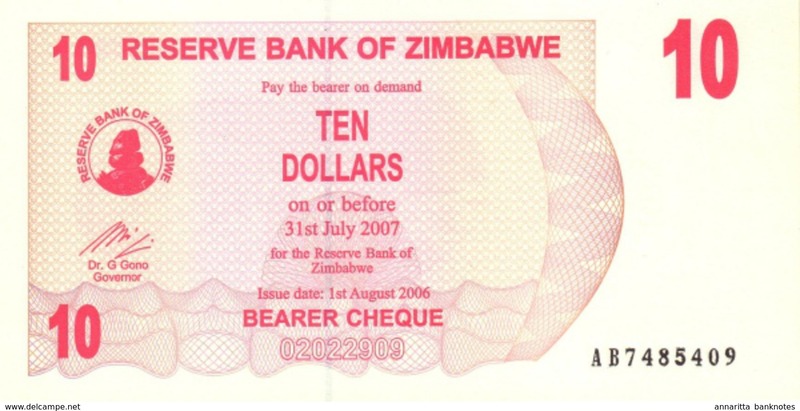 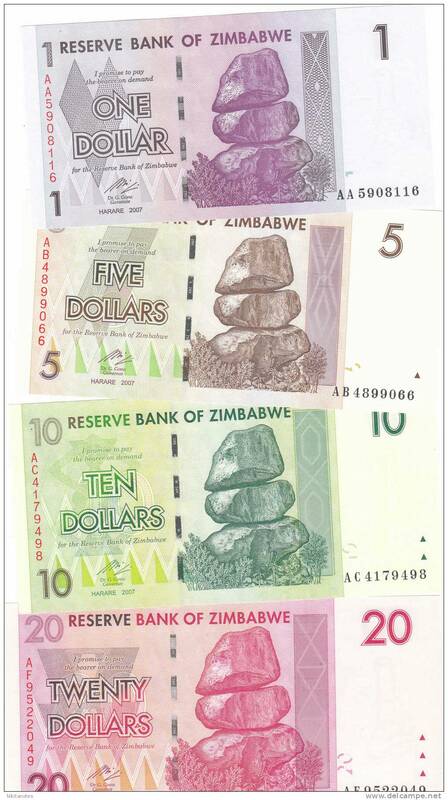 Zimbabwe, 10 Dollars, 2009, UNC., P.94. 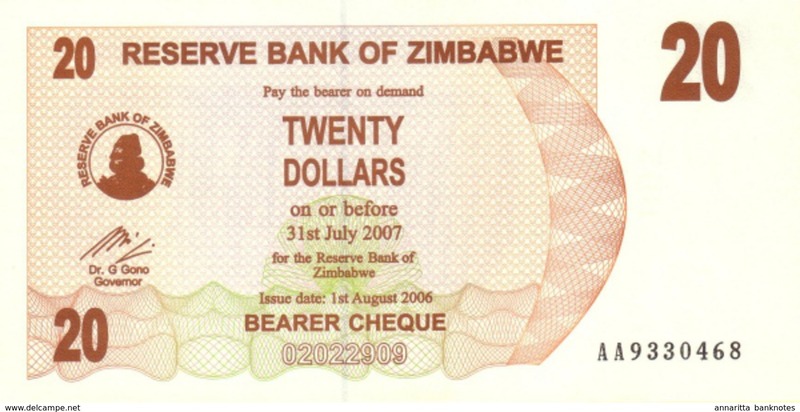 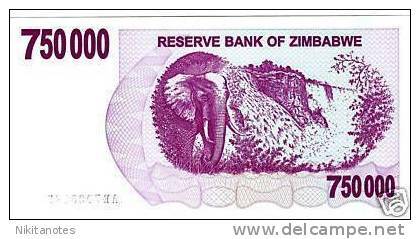 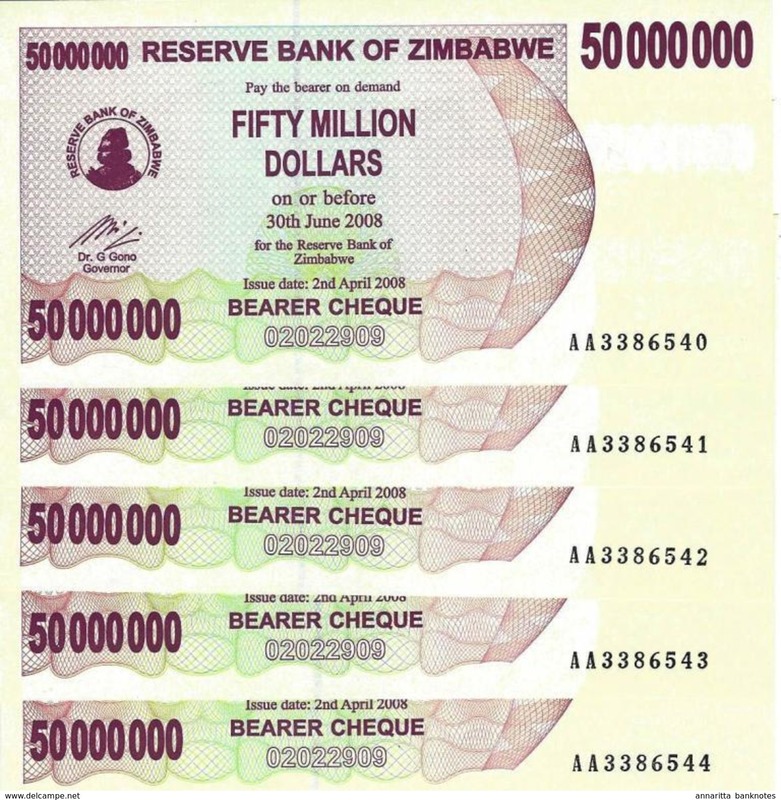 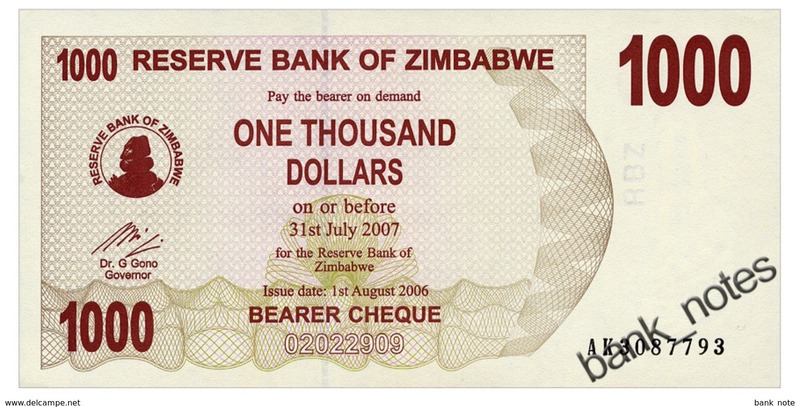 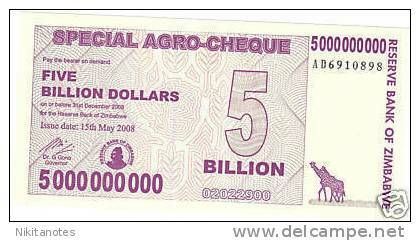 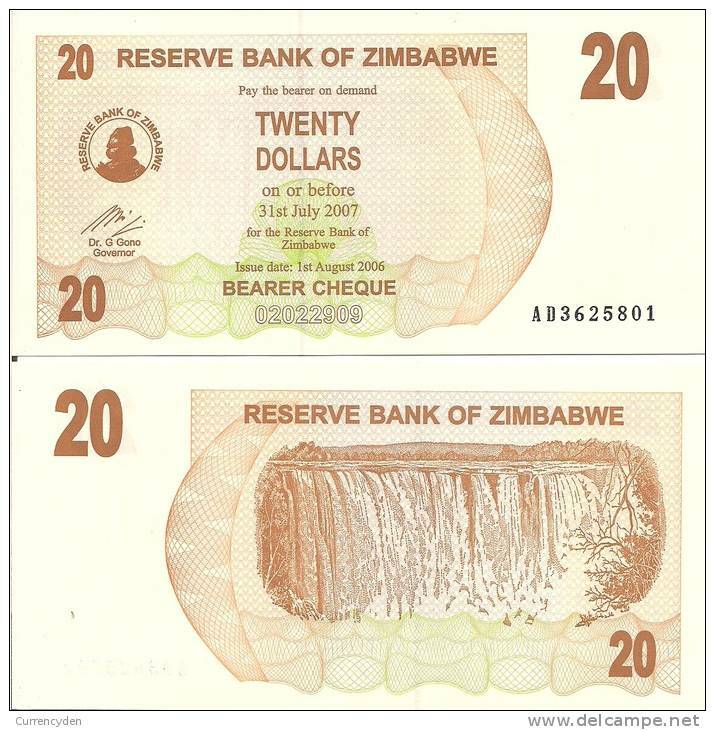 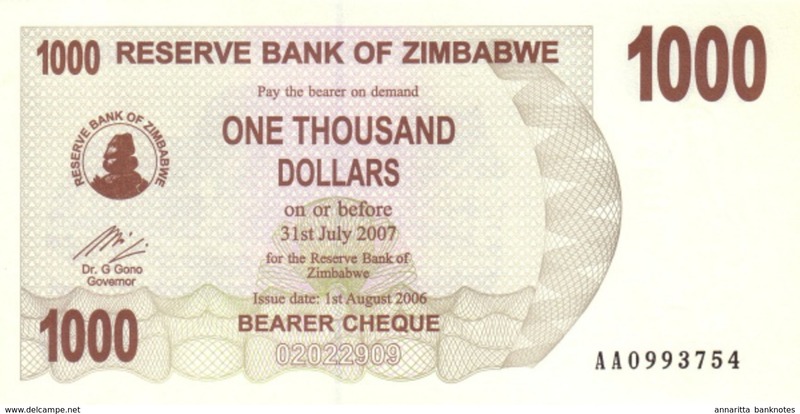 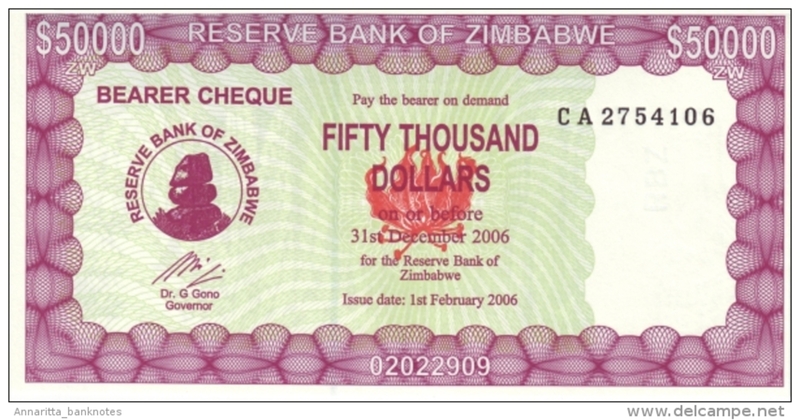 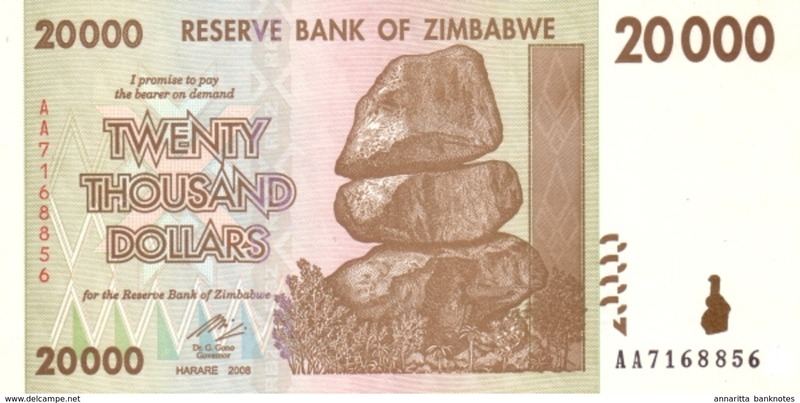 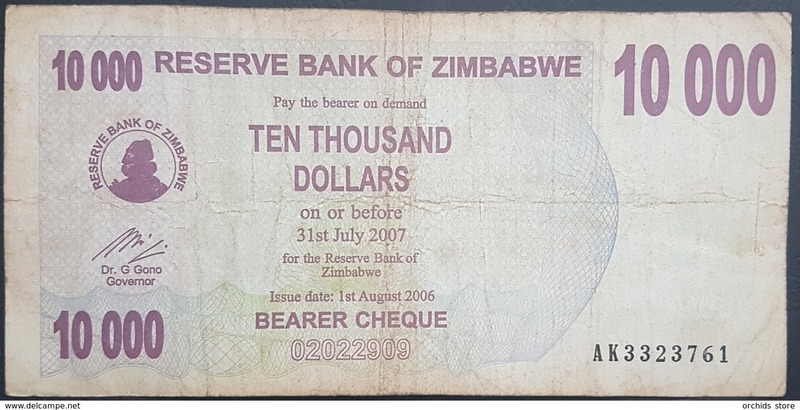 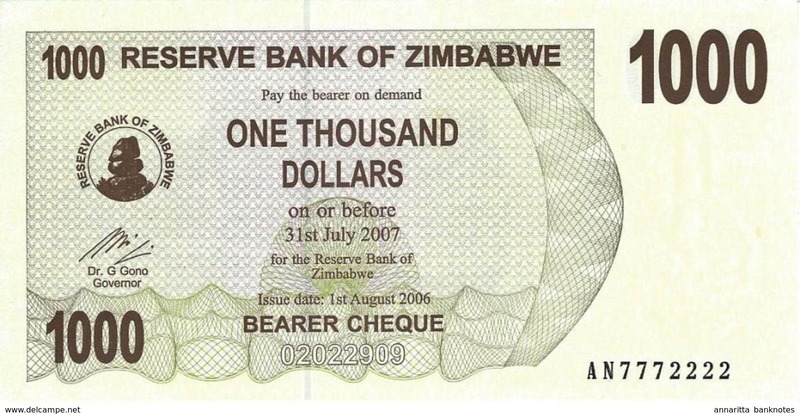 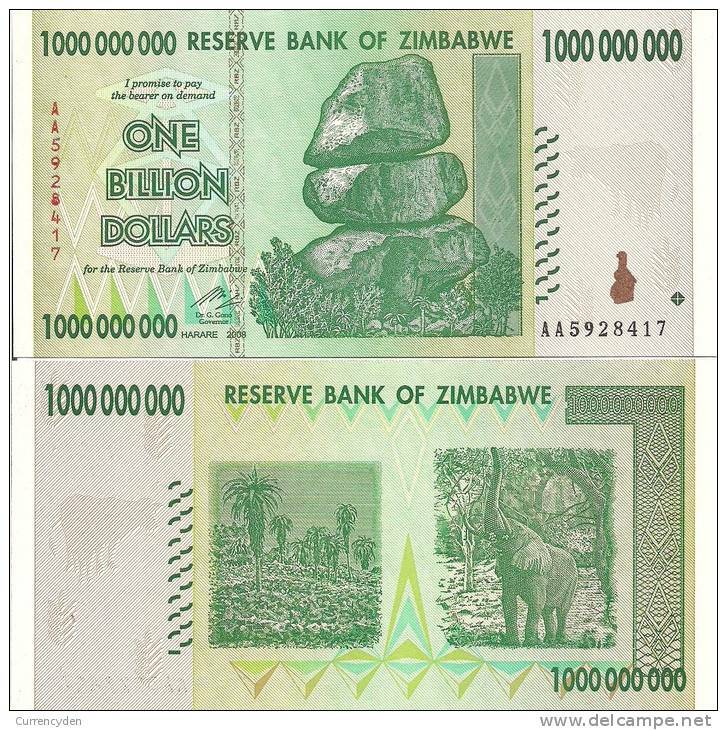 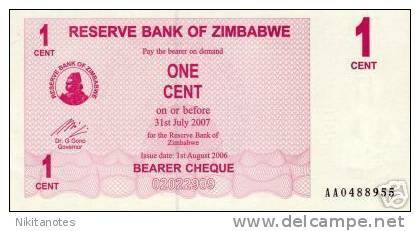 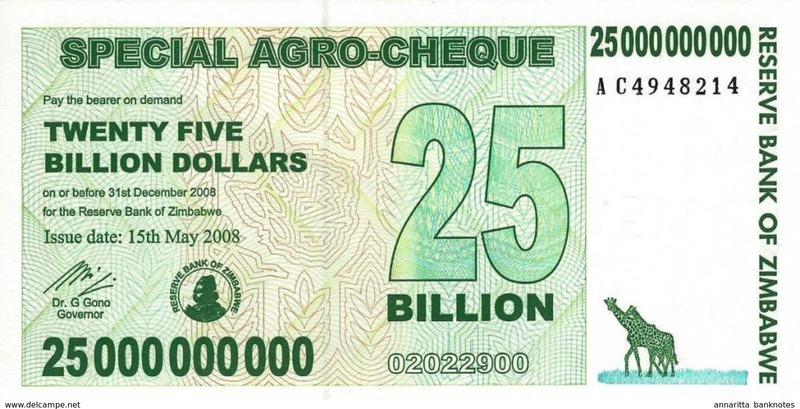 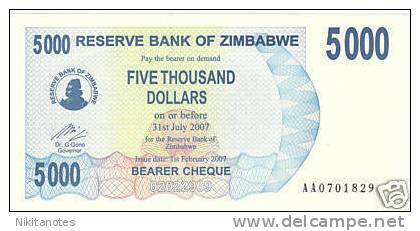 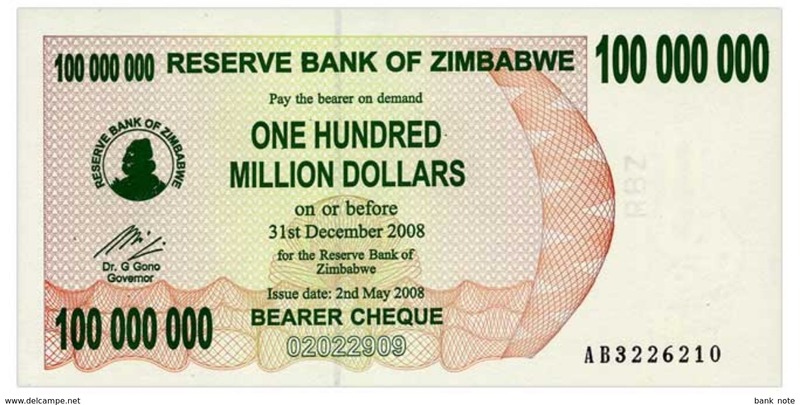 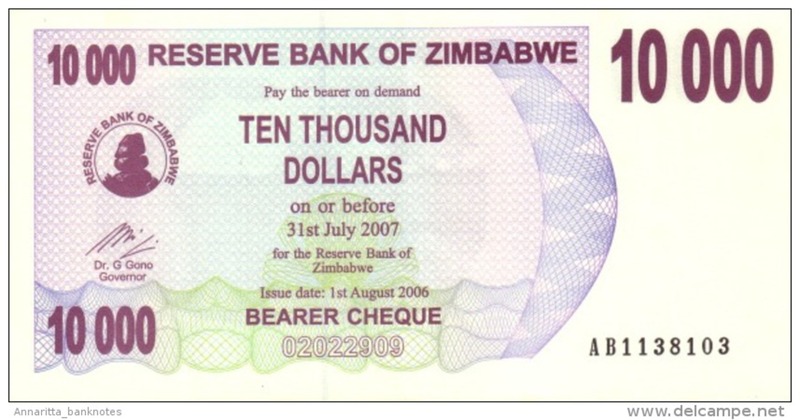 Zimbabwe, 20,000 Dollars, 2003, Emergency Bearer Cheque, UNC. 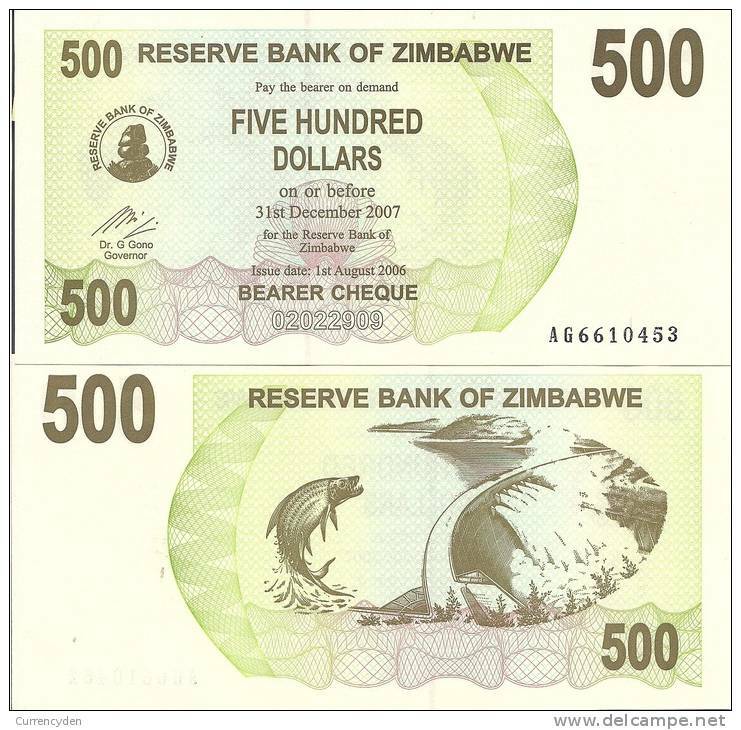 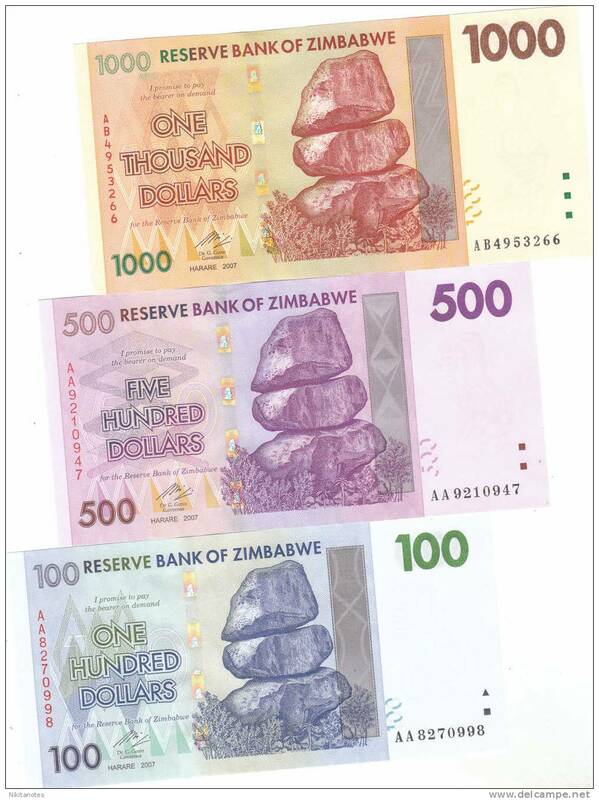 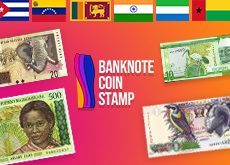 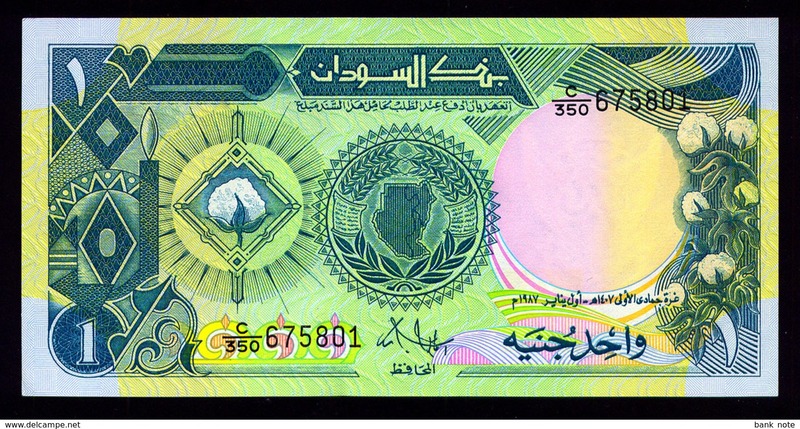 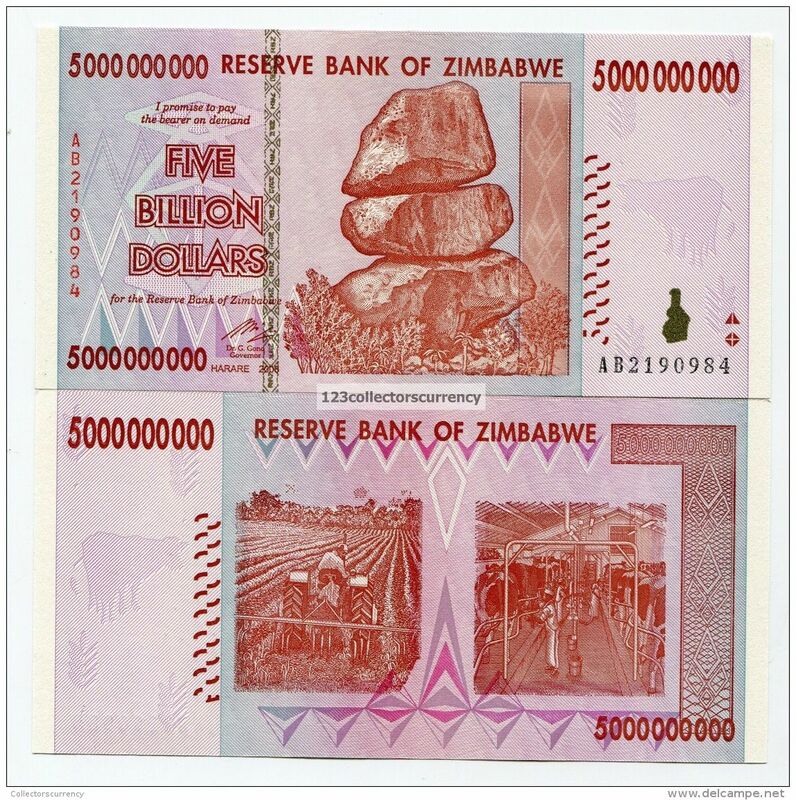 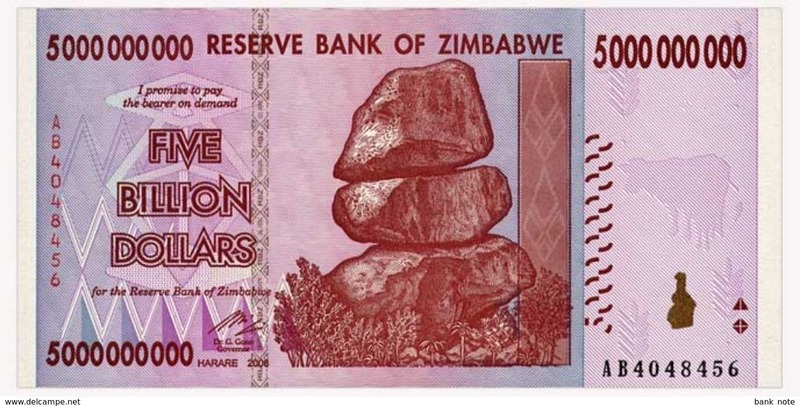 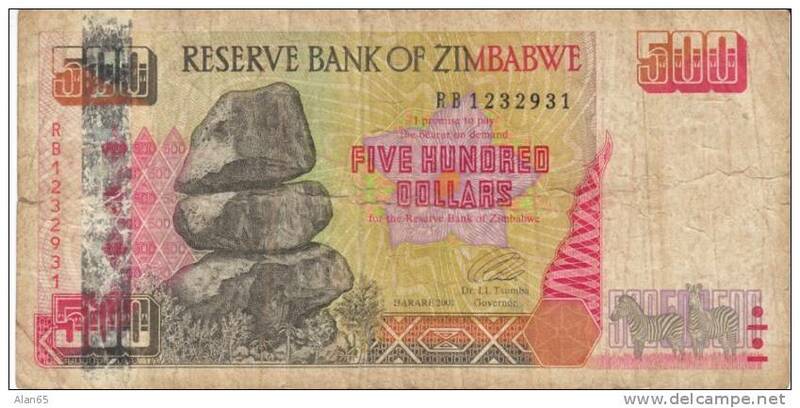 Zimbabwe P-43, 500 Dollars, tiger fish & Kariba dam on Zambezi river $5 CV! 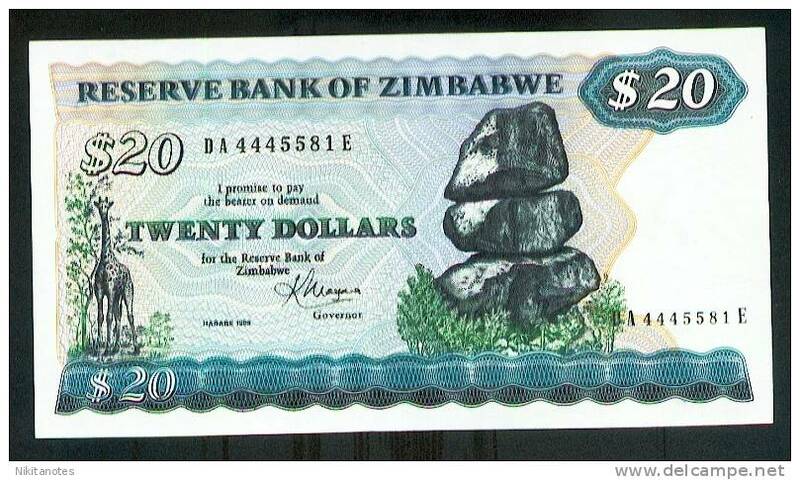 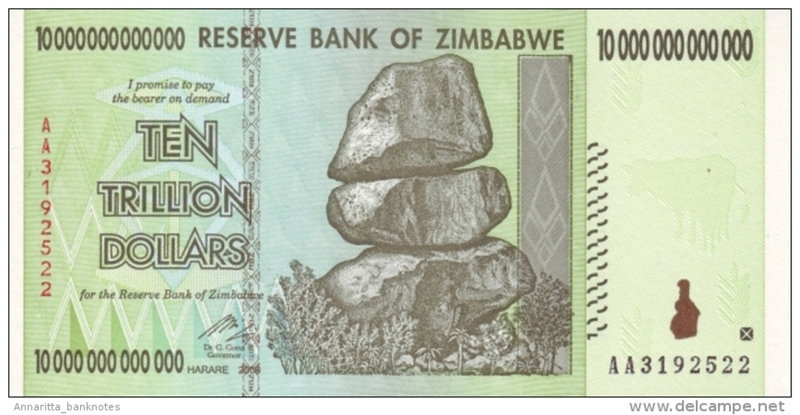 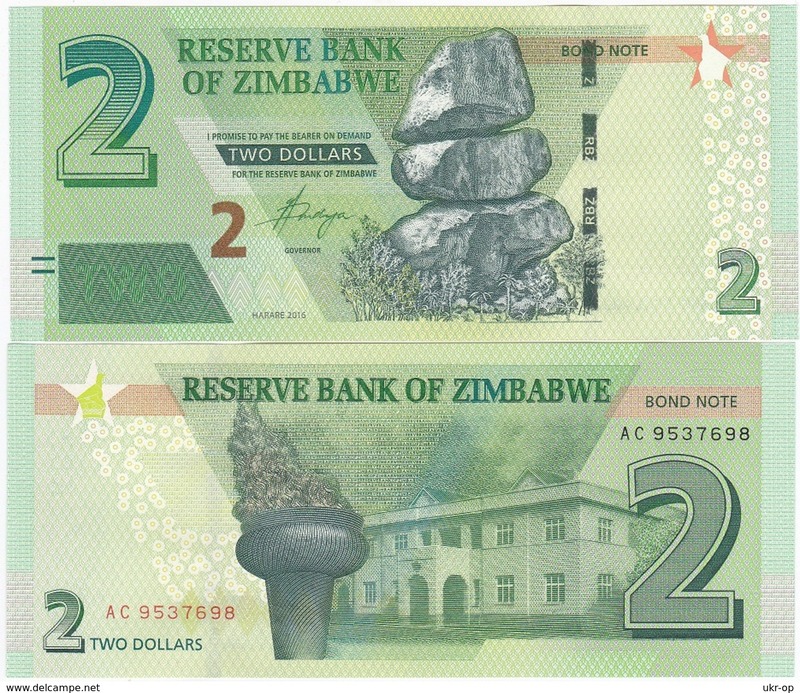 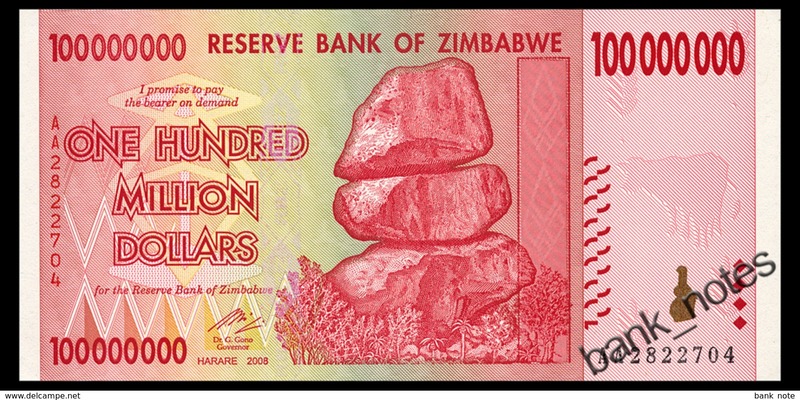 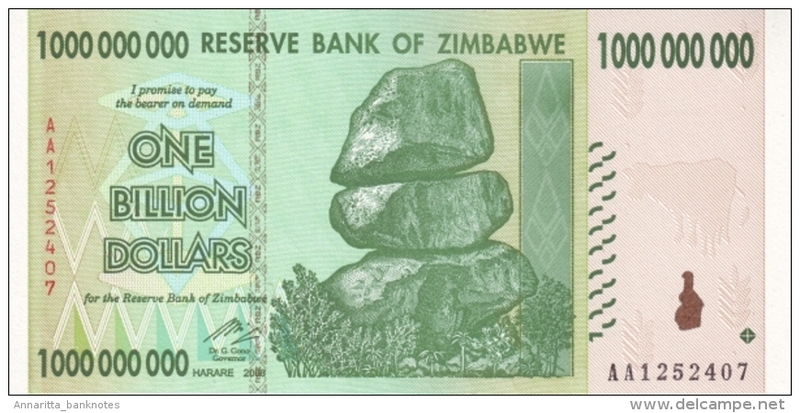 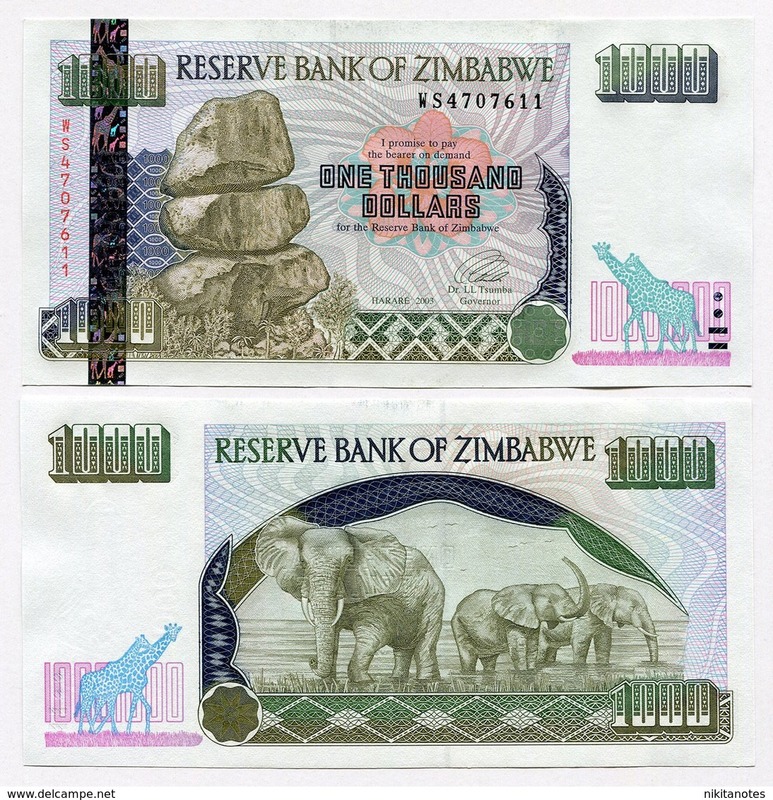 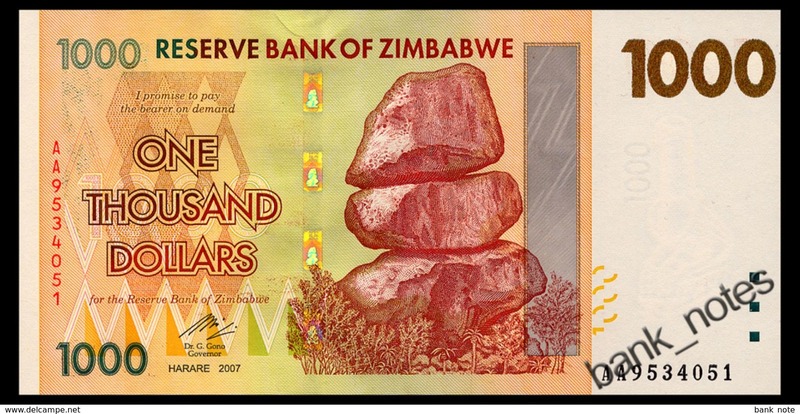 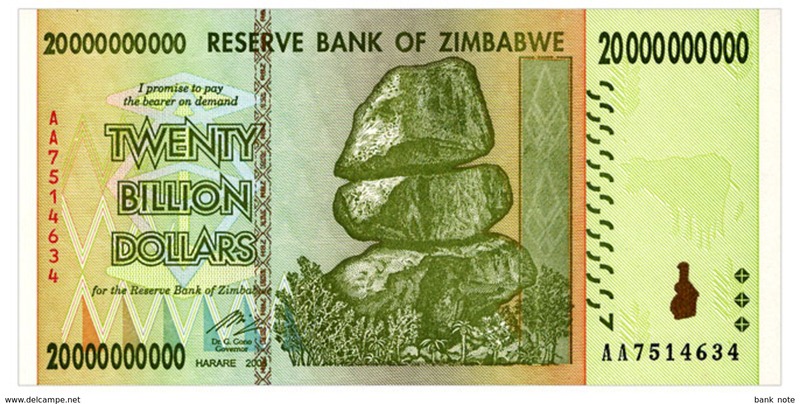 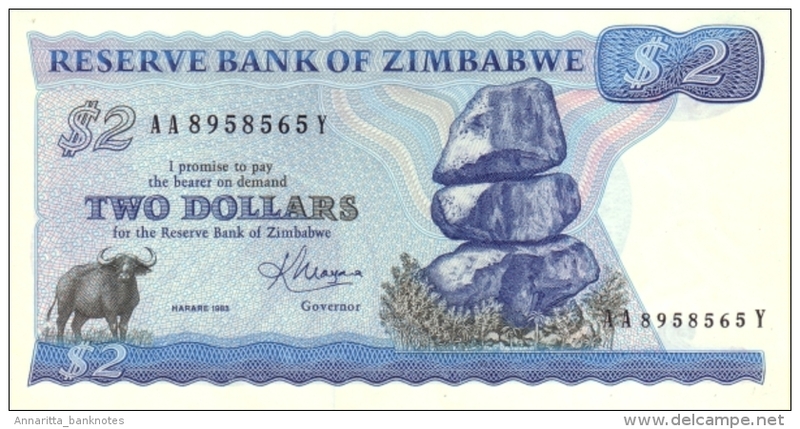 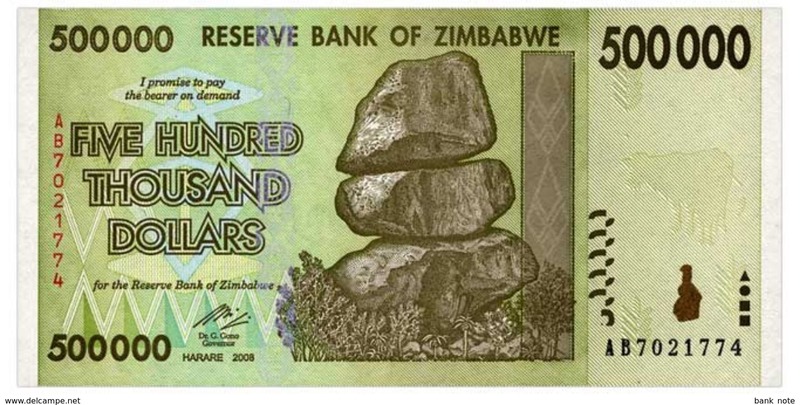 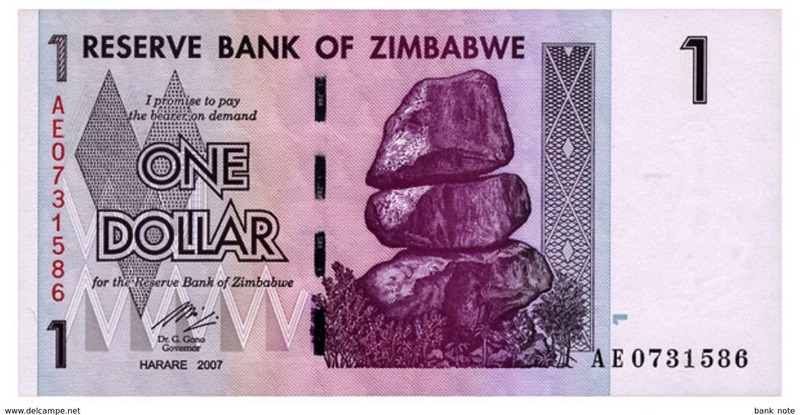 Zimbabwe P-40, 20 Dollars, Victoria Falls, 2007, $4CV!